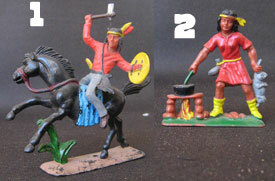 2 indians, one of them on horseback, made by the Brazilian Company Gulliver in the 80's, from figures made originally by Atlantis. Played condition, near mint. Only one figure of each available. 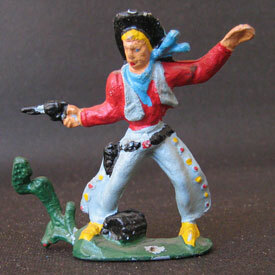 1 figura of a Cowboy, made in Argentina by an unknown manufacturer. Played condition, near mint. 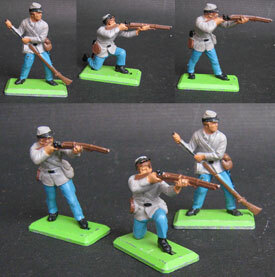 BROFW01/Britains Deetail Originals painted by DSG: Indians. 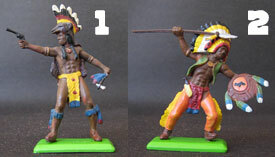 2 figures of Indians made by Britains in UK and painted by DSG and with DSG metal bases. New, never played. MHOFW01/Britains Herald Originals: Indian Chief. 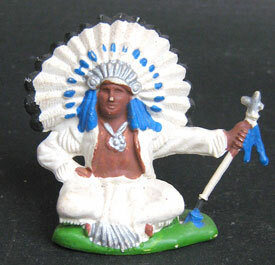 1 figura of an Indian Chief. Figure introduced by Britains UK in 1954 and manufactured until 1965 in England and later in Hong Kong until 1976. The figure on sale was manufactured after 1965. Played condition, near mint. 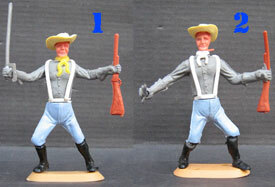 MBOFW11/Britains Deetail Originals: Confederate lot of 3 figures. 3 figuras in 3 poses. The original set they belong to these figures was introudced by Britains in 1972, the molds remade in 1980, were manufactured in England until 1991, then manufactured by ToyWay and then by Britains again. 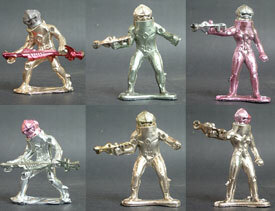 These figures were made after 1980, are ORIGINALS, NOT ToyWay figures. Played condition, near mint. 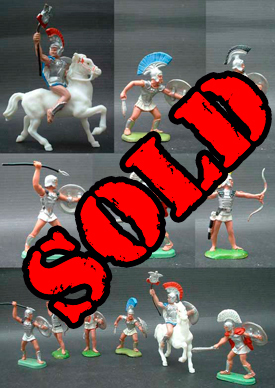 Herald Trojans complete set made in Hong Kong for Britains Herald in the seventies. One of the better sets made for Britains. Only 1 set available. 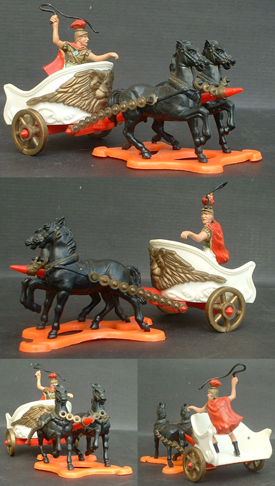 Herald Roman Chariot, Herald Series 4590. Manufactures by Britains Herald solely in Hong Kong. Deleted in 1976. Used, near mint condition. Comprising 2 horses & chariot, 1 driver. 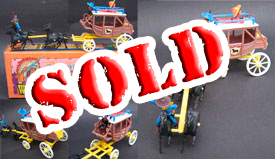 12 figures in 11 poses, 6 horses in 2 poses and 6 saddles, the most beatiful figures even made. Original Mint in Box, made in England in 1974, pale yellow plastic. This IS NOT a recast set. 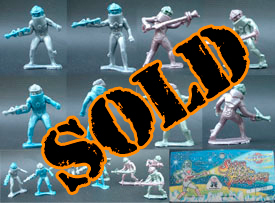 Only 2 boxes available, one of them sealed. 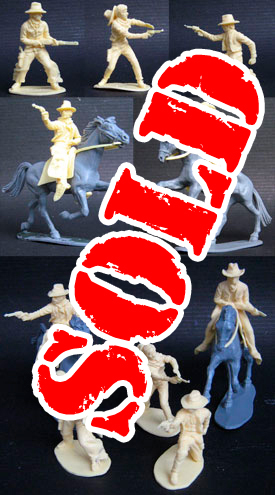 5 figures in 5 poses, 2 horses in 2 poses and 2 saddles, the most beatiful figures even made. 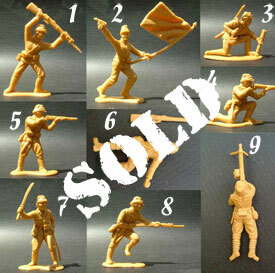 Originals unboxed and incomplete set, figures made in England in 1974, pale yellow plastic. This IS NOT a recast set neither copies. 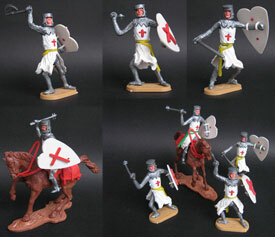 6 foot figures and 1 mounted available, Original figures, made in England metal base, NOT RECAST. Only one of each figure available. 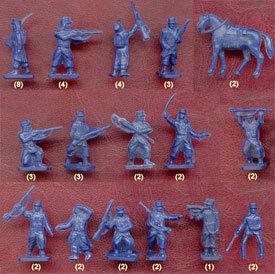 MBAV01/First Deetail figures manufactured in Argentina: Mexicans on foot. 6 foot figures in 6 poses, the first deetails figures manufactured in Argentina at the end of the seventies, THIS ARE NOT DSG figures. Click here for to compare. This set is very hard to find. 2 figures in 2 poses, Cherilea swoppets made in England. 3 figures on foot in 3 poses and 1 on horseback, Cherilea swoppets made in England. 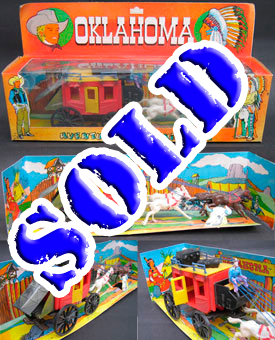 Rare Stagecoach, manufactured in Argentina for the toy factory OKLAHOMA, out of the market today, at the end of the seventies.It seems to be an unlicensed copy of the Timpo stagecoach. 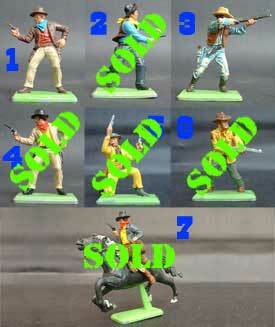 Come with 4 horses and 1 factory painted figure. Boxed in its original box . Rare 40 mm Stagecoach, manufactured in Uruguay for the toy factory Morella, out of the market today, at the end of the seventies.Come with 4 horses and 3 timpo style figures. Boxed in its original box. 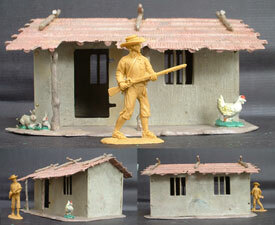 Vintage plastic Mexican shack made in Argentina in the seventies by an unknown manufacturer. The figure is only for reference. 8 figures in 8 poses. Manufactured and sold exclusively in Argentina in the eighties under the name "Extraterrestrial creatures". Copies from Britains spacials. Comes unpainted, bagged in its original bag. Only few sets available. 6 figures in 3 poses. Manufactured and sold exclusively in Argentina in the eighties under the name "Extraterrestrial creatures". Copies from Britains spacials. Comes painted in metalic paint. Only few sets available. 9 figures in 9 poses. 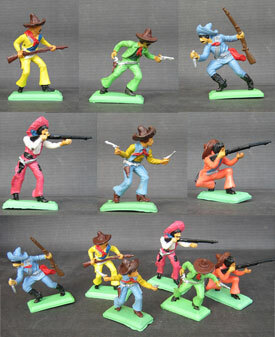 Highly detailled figures made in Brazil in the 80 by Gulliver, copies of 1/32 Atlantic and Airfix figures. Comes in yellow plastic. Only 1 set available. 11 figures in 11 poses. 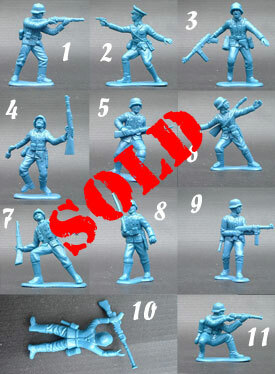 Highly detailled figures made in Brazil in the 70 by Gulliver, copies of 1/32 Atlantic and Airfix figures. Made in dark blue plastic, bagged in its original bag. Only 1 set available. 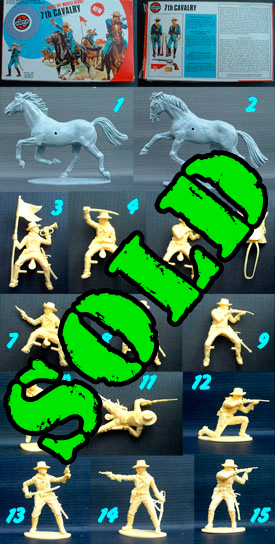 42 figur2s em 15 poses + 2 horses. Set in 1/72 scale manufactured by Airfix. Original set, not recast, out of the box.